Xiaomi is a Chinese manufacturer of smartphones and other smart electronics gadgets and it is currently ranked as the third largest manufacturer and distributor of smartphones in the world behind Samsung and Apple. This company doesn't just produce high-quality phones; they also produce tablets, Bluetooth speakers, earphones among many other items. If you are interested in an affordable smartphone with an advanced processor and the latest operating system, a Xiaomi phone is the right brand for you. The mobile phones are designed with clear-cut upgrades, exceptional camera quality, and powerful configuration, these smartphones are budget-friendly phones packed with the latest features. The Chinese manufacturer has changed the game of the smartphone market by churning out sleek and powerful devices that are sold at a budget-friendly price. Switch to Xiaomi mobiles and experience hassle-free performance from your mobile phone. Whether you want a high-performance phone or budget-friendly one, Mi has got you covered with the latest and powerful smartphone releases such as Redmi Note 6 Pro, Redmi S2, Redmi 6a, Mi A2 Lite, Mi Mix 2S and a host of other top phones from Xiaomi. And if you are also interested in big screen smart devices, you are covered as Xiaomi tablets spot HD screen display. With a stunning display, you will enjoy an immersive full-screen gaming experience with its long-lasting battery life, you can stay connected with friends for as long as you want without having to worry about phone’s battery being drained. You can also find authentic Xiaomi mobile accessories on our platform. If you are a fitness freak, love healthy living, then the Mi Band, Band 2 and the Mi Band 3 are for you. These fitness bands let you keep track of your fitness activities on an everyday basis. 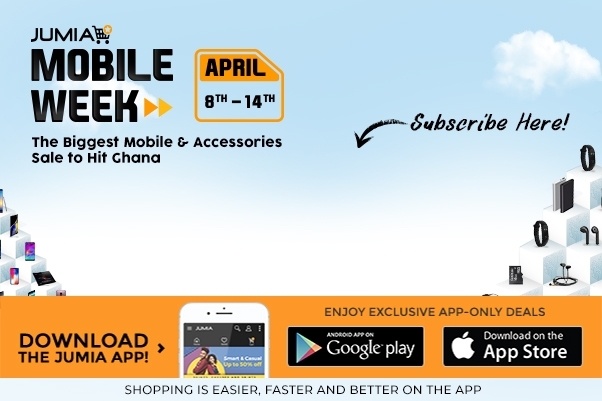 You can also find on Jumia Ghana other accessories that support your smart devices for everyday use. Discover a large selection of Mi accessories like earphones, Bluetooth speakers, wireless headsets, power banks, USB charger for your Smart devices. Order Xiaomi phones, tablets and other related products online at the best prices you can find in town.